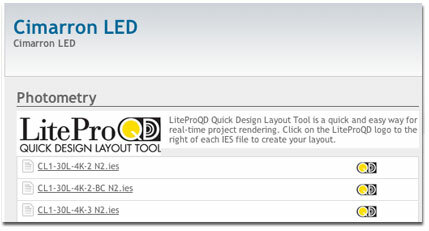 LiteProQD Quick Design Layout Tool is a quick and easy tool for real-time project rendering. Look for the LiteProQD logo on each product page and to the right of the photometry file. Click the "QD" logo to launch LiteProQD.